Restauracja North Fish w Lublinie ponownie otwarta! | North Food Polska S.A.
August 29, North Fish restaurant in Plaza Shopping Centre in Lublin was reopened. After a month-long renovation, the place gained a completely new fresh look, dominated by modern style and equipment, guaranteeing delicious and top quality product every day. North Fish restaurant in Plaza Shopping Centre in Lublin is open daily 9:00 – 21:00. You are most welcome! The first was opened in 2002 in the Galeria Echo shopping centre in Kielce. 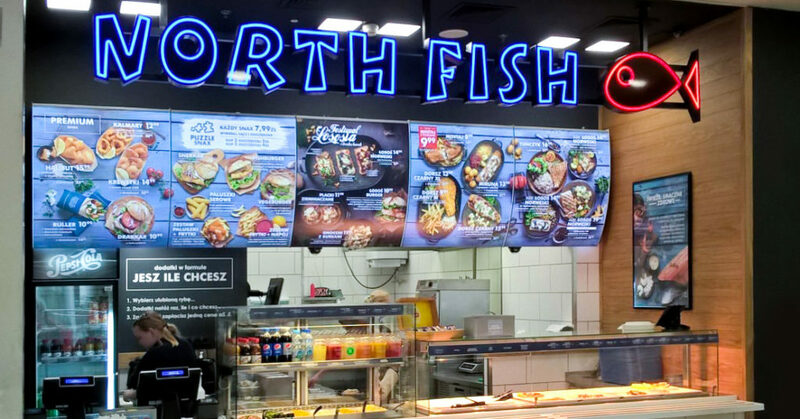 Currently North Fish operates 38 restaurants located in Poland’s best shopping centres, which makes it the country’s unquestioned leader and Europe’s third largest, chain of restaurants offering fish and seafood. Each day nearly 1,000 employees take care to ensure the highest quality of the products served.